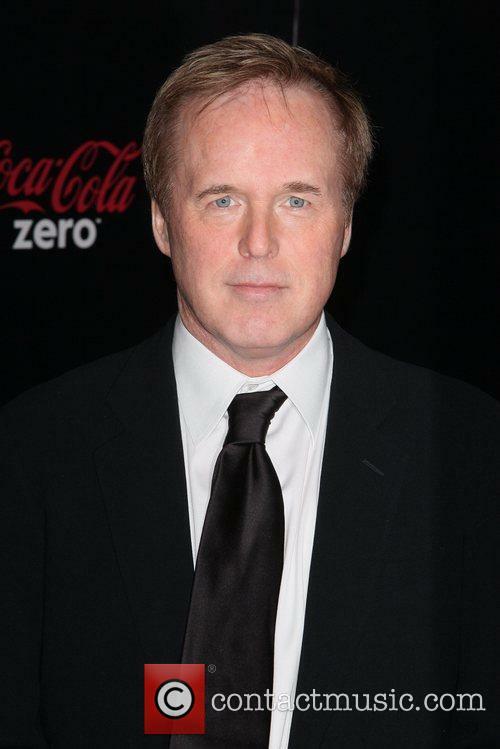 Brad Bird has opened up about how he thinks 'The Incredibles' is a unique franchise despite the wealth of superhero movies and shows available. Let's face it, you can't go to the pictures any more without seeing a superhero movie amongst the listings. They're now an integrated part of society, but audiences continue to lap them up! The problem filmmakers are facing when creating new films that slot into that genre however is ensuring that each and every release is a unique and compelling one. It's something that many directors have managed to do successfully, but we have seen a few duds alongside the diamonds. 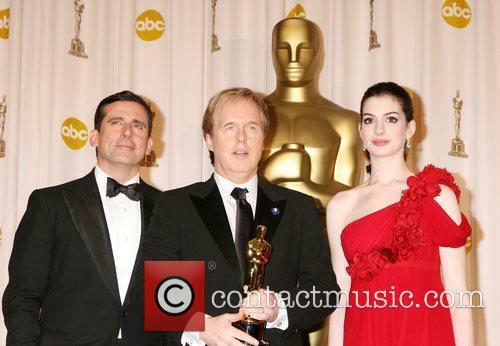 Back in 2004, the world fell in love with Pixar release 'The Incredibles'. The movie followed the re-emergence of one particular family gifted with superpowers, who had been living in secrecy due to a ban on heroes using their talents to fight crime. Now, almost 15 years later, we'll be delving right back into the world of those heroes, and finally finding out about the powers baby Jack-Jack has developed! Hogarth Hughes is an intelligent young boy with a love of exploring. One day, his adventurous nature leads him to discover a colossal iron giant living in the forest having fallen from space. The robot appears to have the understanding of a child and thus finds himself vulnerable to the dangers of the earth and oblivious to his fate should the government find out about him. 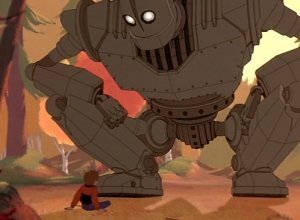 When Hogarth realises this and that the iron giant just wants to be his friend, he does everything within his power to keep him safe, even if that means lying to the government agents and army officials who come sniffing around for information. Hogarth is just 9-years-old, but he finds himself having to explain the way the world works to this confused creature, including mortality, sacrifice and the rules of right and wrong. Big summer blockbusters are so rarely optimistic that it's tricky to know how to take this movie, its utopian view of the future is a refreshing antidote to both dystopic-nightmare thrillers and those blood-boiling, doom-and-gloom documentaries about how the end of the world is nigh. Even more interesting is the idea that this movie is essentially based on Walt Disney himself, who believed creativity and invention were the key to a happy tomorrow. So it's a bit of a shame that everything feels so childish. 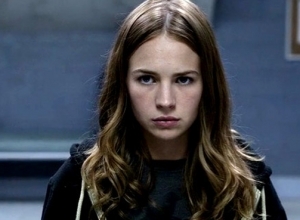 The story centres on the restless Casey (Britt Robertson), an almost frighteningly brainy teenager who's trying to keep Nasa from closing down the launch pad where her dad (Tim McGraw) works. Unknown to her, the eerily ageless young Athena (Raffey Cassidy) is watching, leaving a pin that's a key to a magical glimpse of a parallel space-age future. Investigating this, Casey travels to Houston, where she gets in trouble at a sci-fi collectible shop. Rescued by Athena, they travel to New York to meet Frank (George Clooney), a grumpy old man who was once a wide-eyed inventor like Casey and has known Athena since 1964. Together they work out a way to get back to Tomorrowland to confront its pessimistic leader Nix (Hugh Laurie), who seems to have accepted the fact that the world is falling apart. The script briefly grazes against big ideas like global poverty and climate change, which gives the film a hint of weight to balance out a plot that is clearly aimed at a 10-year-old. It's all rather simplistic, which means it doesn't quite speak to grown-ups, although the positive approach can't help but catch the interest. 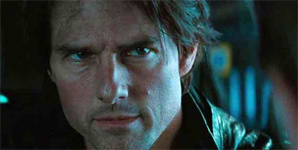 Director Brad Bird (Mission: Impossible - Ghost Protocol) keeps the imagery whizzy, with fabulous gadgets and thrilling effects work that beautifully imagines a city of the future. Plus a pretty cool Eiffel Tower revelation. 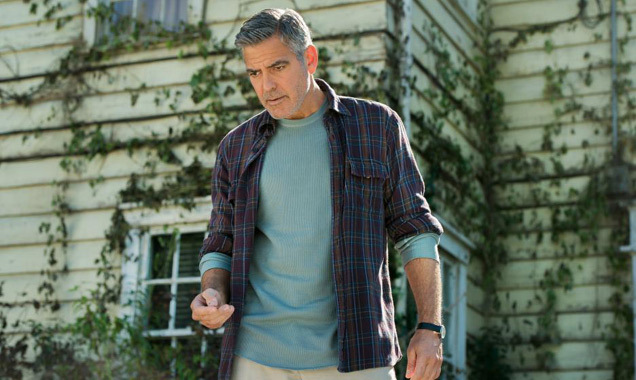 He also makes sure that the characters' intelligence shines through, which allows Robertson and Clooney to inject a sparky sense of rivalry. 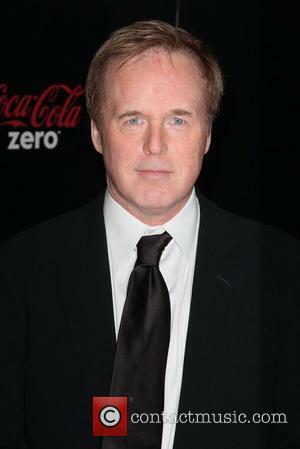 'The Incredibles 2' will be Brad Bird's next project. Hurray! 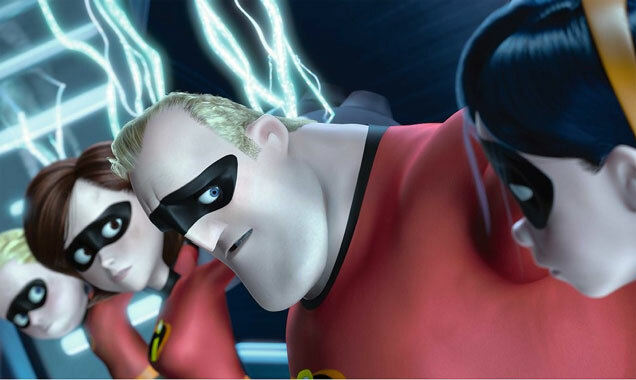 Brad Bird has confirmed that animated sequel The Incredibles 2 will be his next movie. The director, who's currently busy promoting new Disney flick Tomorrowland, says he has a "bunch of pages" for the new movie. "Oh yeah I have pages, a bunch of pages," he told Collider of The Incredibles 2, "I had a lot of ideas for the originalIncredibles that I didn't get a chance to use, that I like. I have ideas that I wanted to pursue a little bit and there wasn't enough time in Incredibles. There are new ideas I have, and I think there are enough of those together to make an interesting movie. I'm just focusing on getting Tomorrowland out into the world and playing with the Incredibles sandbox again." Cast and guests arrive at the opening of new Disney sci-fi adventure. 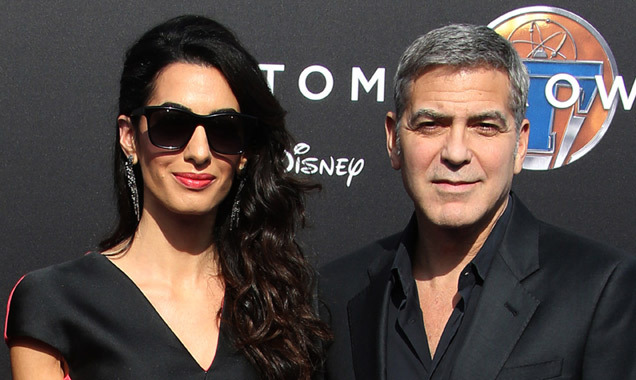 The 'Tomorrowland' premiere turned out a lot of stars on the red carpet this weekend, with George Clooney bringing along his wife (predictably - this couple seems joined at the hip!) Amal Clooney as well as her angel-faced teenage daughter Mia Alamuddin. Mr. Clooney was his usual dashing self as he hit the premiere of his latest movie, Disney fantasy 'Tomorrowland', suavely dressed in a black suit and chest-bearing black shirt, while wife Amal took chic to a new level with a youthful black and pink number - complete with shades to block out those rays, of course. The plot for the Brad Bird directed movie is still under wraps. 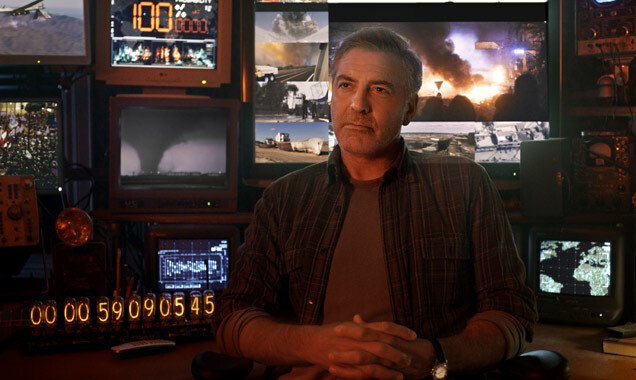 It's now time to get excited for what looks to be one of the most visually stunning movies of the year as the first full trailer for George Clooney's 'Tomorrowland' arrives, bringing with it adventure, danger, fantasy, and a whole lotta mystery. There's not a lot of information being revealed out this upcoming magical, sci-fi journey, but from what we gather we can expect a shedload of futuristic gadgets, an object of extreme power, a mystical land beyond reach and angst-ridden teenaged hero. Standard fantasy stuff then - but we wouldn't have it any other way. Casey Newton loves inventing and all things scientific, but she's definitely got a problem with authority. After a run in with the cops, she discovers an unusual artifact - a coin sized pin with a large letter 'T' on the front that, when handled, seems to take her to a sun-drenched wheatfield in a strange land. Unfortunately, nobody else believes her newfound phenomenon so she is forced to explore the mystery behind it herself. 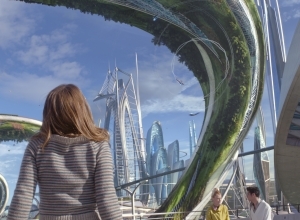 She eventually stumbles across a old scientist named Frank Walker who informs her that the futuristic land she has seen is Tomorrowland, a place full of the smartest individuals set on changing the world for the better. And now he has his eye on Casey as his latest recruit. But it's a dangerous journey for a young girl and she has to be ready for a fight. 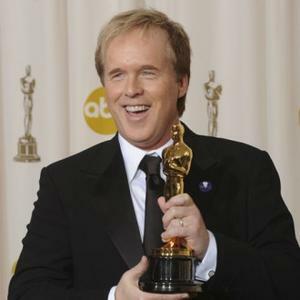 After finishing up directorial work on Tomorrowland with George Clooney and Hugh Laurie, Brad Bird has confirmed that he has begun writing the follow-up to Pixar's superhero hit The Incredibles. Speaking with NPR, Bird said the sequel is currently "percolating." "I'm just staring to write it, so we'll see what happens," he said. Casey Newton is a gifted budding scientist, though has occasionally found herself in trouble with the authorities. On one such occasion, she finds herself suddenly in possession of a strange pin she has never seen before, after collecting her belongings at a police station. After picking it up, she is suddenly transported to another world, a futuristic looking world quite unlike her homeland. After the initial shock wears off, she meets a talented inventor named Frank Walker, who tells her of a place where it's literally possible to change the world, to create things that you would never before have believed possible. That place is called Tomorrowland, and Walker needs a companion for his exciting new journey there having been feeling disillusioned from the world around him. Together they must unveil the secrets of the land and uncover their limitless potential. This dazzling Disney adventure is named after the fantasy area of Disneyland which has never before seen screen action. 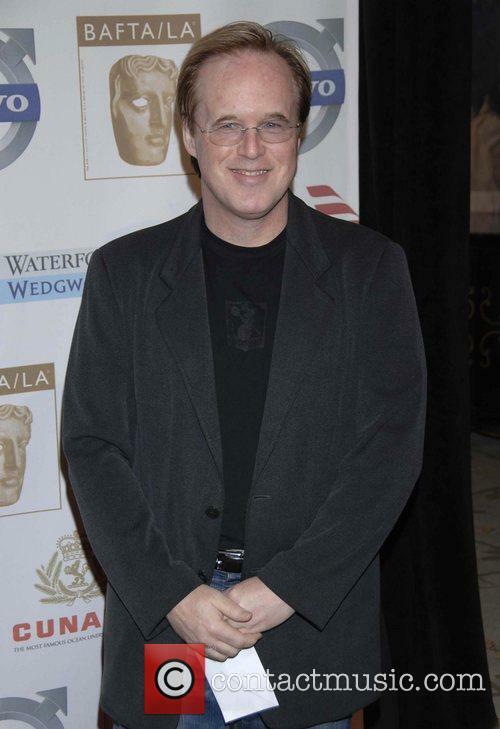 At the movie's helm is double Oscar winning director Brad Bird ('Ratatouille', 'The Iron Giant', 'The Incredibles') alongside Emmy winning screenwriter Damon Lindelof ('Lost', 'Prometheus', 'World War Z'). 'Tomorrowland' was originally set to be called '1952' and is set to be released on May 22nd 2015.